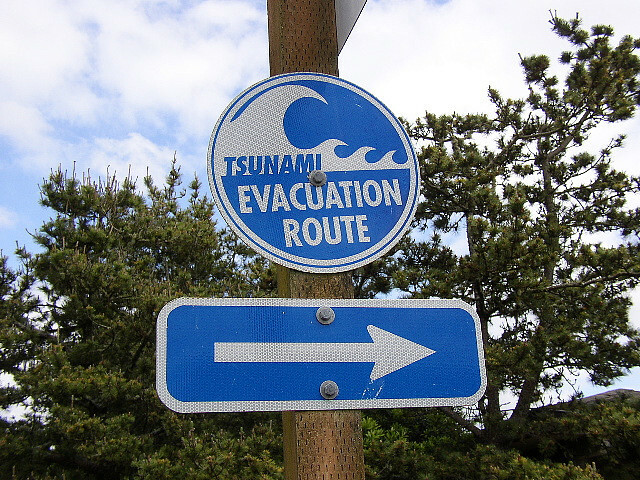 The tsunami that devastated Japan over a year ago was an incomprehensible disaster for Japan. The consequences there will not be fully understood for many years. Unfortunately, some of the danger is landing on the Oregon Coast. 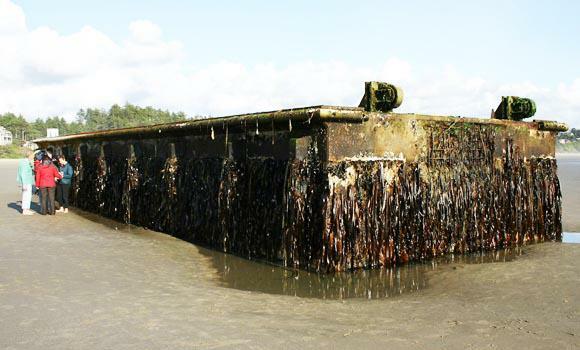 The 66 foot floating dock that washed up on Agate Beach in Newport brought danger with it. First of all, it arrived without having been detected. This could have been a tragedy for a fishing boat or any other boat that inadvertently got in its path. Coastal residents are being encouraged to quickly collect and dispose of any debris they see. So far there is no system in place for tracking things like the dock. Fishermen in particular are concerned about what would happen at night when they would not be able to see something in the water. Lives might be lost. The other serious concern is the very real possibility that invasive species carried by the debris will thrive along Oregon’s Coast. Approximately 13 pounds of living organisms were found by Oregon State University’s Hatfield Marine Science Center scientists. The scientists found living barnacles, mussels, starfish, urchins, anemones, worms, limpets, snails, and algae – dozens of species. Scientists identified 30 species of plants and animals attached to the dock and there could easily been more. Workers from the Oregon Department of Fish and Wildlife moved quickly to remove and bury as much as they could scrape off the dock. Once that task was complete, they used blow torches to burn off whatever remained. Most of the creatures and plants found are native to Asia. No one knows whether or not they could live in Oregon’s waters, but they survived over a year in the open ocean. Although the Oregon Department of Fish and Wildlife moved quickly to remove the non-native organisms, it may have been too late before the dock even reached the shore. The organisms and their eggs or larvae may have gotten into Oregon waters as the dock came on shore. Plus there are other ways for invasive organisms to get to Oregon. For instance, they could arrive in the ballast water that ships use to keep balanced. Water is pumped into the hulls of ships at their port of origin, and discharged when they arrive at their destination. This water could easily contain invasive species since it is not treated in any way. As long as we continue to import goods by sea, there will be danger that either in their ballast water or attached to their surfaces they will bring invasive species. The organism the scientists found on the dock appeared to be not only healthy, but also reproducing. Among the organism were three that have caused serious problems in other places: Northern Pacific star fish, Japanese shore crabs, and brown algae (used to make miso soup). These three invaders alone could devastate local sea life along the Oregon Coast. The organisms arriving from Japan could have a horrible impact on the ecology of the Oregon Coast. Hopefully, unlike the horror of the tsunami the killed so many people in Japan, there will be no loss of human life. For more information about the invasive species that are coming ashore on the Oregon Coast check out these resources.